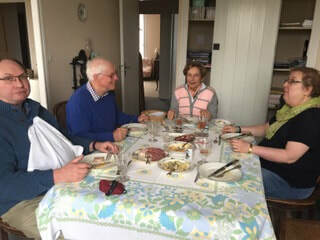 ​Over many years and many visits to our Twined town of Langres I have always been amazed at the friendship and welcome we receive. Our last visit was no different. 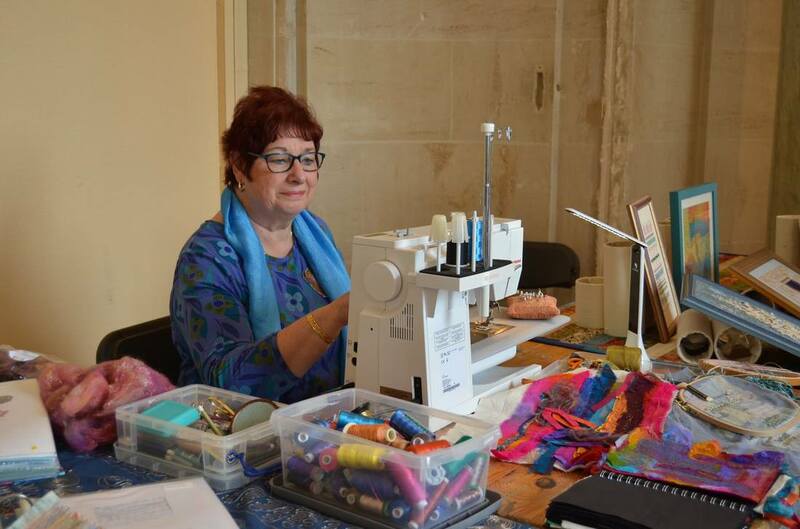 The Mayor of Langres and Langres twining Association invited 2 craftspeople from each of their 3 twinned towns to take part in the Annual Arts and Crafts Fair that took place over the first weekend of April. After much deliberation, myself and Jacqui, together with our respective husbands, agreed to attend. It was difficult to envisage just what the fair was. We were amazed to find that there was a fantastic range and quality of arts and crafts in 4 venues across the old town. One venue was given over to the wonderful range of quality knives and scissors that are made in the region. Many other crafts were on display including basketwork, glass fusing and upholstery. The three twinned towns were exhibiting together in a heritage building next to the Cathedral. Abidigrasso were exhibiting jewellery and porcelain painting. Ellwengan had a husband and wife team showing their photography and art. 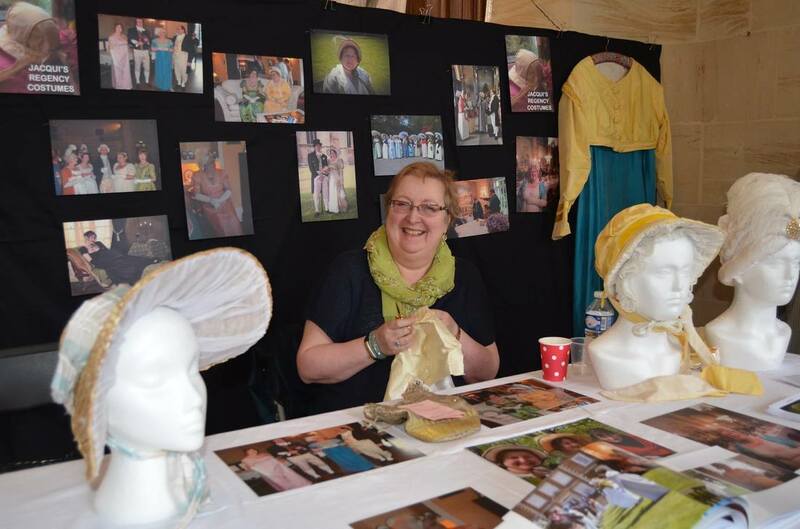 Beaconsfield had a display of contemporary textiles and hand made replica costumes from the time of Jane Austen and Regency England. Over the weekend we had hundreds of people come and visit our work and our command of French improved as the weekend progressed. The mayor visited each venue in a caleche drawn by beautiful grey horses. It was a joy to see and talk to so many friends. On each evening the twinning delegations were entertained to dinner. This was a great opportunity to forge new friendships with our linked towns. It was fascinating to hear and discuss the issues of each town and country. We all have much in common and this reinforced the value of twinning. We took an extra day in the town before our return home to meet up with friends from many years. It was a particular pleasure to meet up with the gifted patchwork group with whom we worked in 2004. 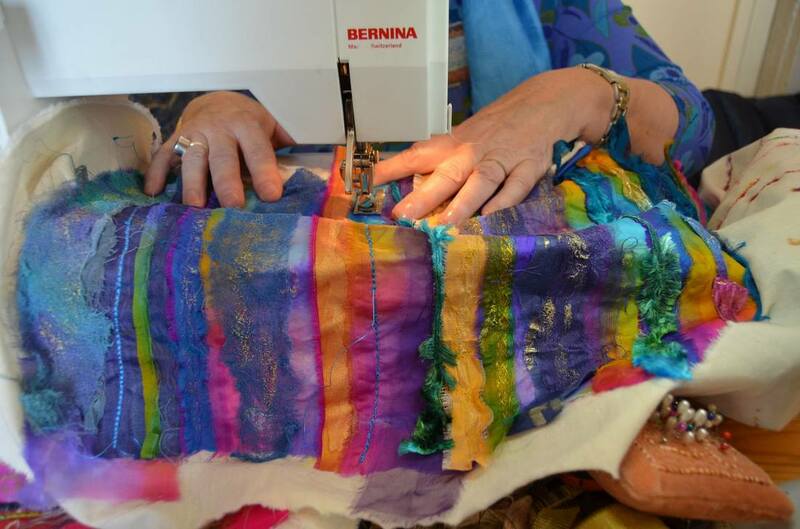 The morning started in the best way, champagne at 11am and a ‘show and tell’ of great patchwork and quilting. The day continued with 4 further rendezvous and more champagne. We returned home with happy memories. Jacqui and I had a wonderful experience over the weekend. We hope that other crafters will have a similar opportunity to visit and share their crafts in future.